The Vibe Rectangular Twin Shower valve with Built-in Diverter from Ultra - offers a flexible shower solution with a neat finish and is suitable for use with all water systems. Pipework is concealed for a minimalist look. Features easy to operate controls. 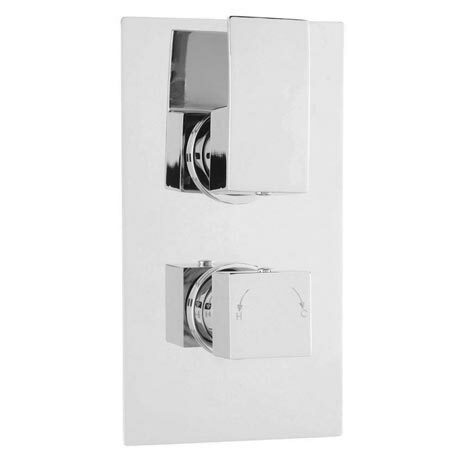 Top control is the diverter to switch between shower accessories, the bottom control adjusts the temperature.